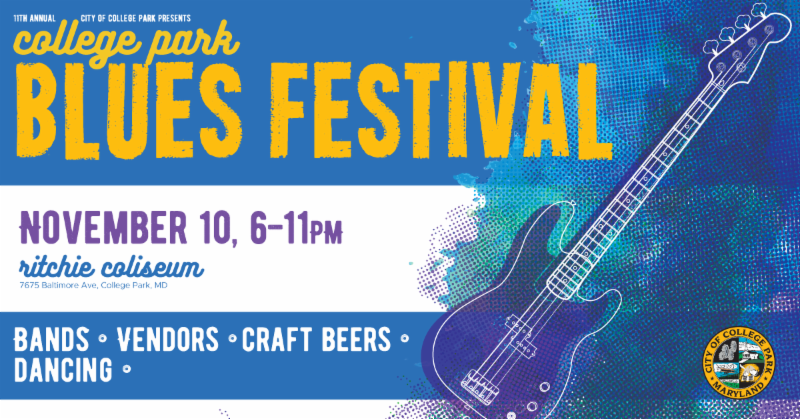 The College Park Blues Festival is tomorrow! For details, see below under Events. All City offices will be closed on Monday, November 12 for the observation of Veterans Day - all collections will slide forward one day, therefore special collections will only be scheduled on Friday, November 16. 2019 Leaf Season has kicked off and DPW is on schedule for the week. November 13-16, crews will be in the following neighborhoods: SA5-Autoville and Cherry Hill, SA6-Rhode Island Ave east, and SA7-North End. For the updated leaf collection calendar, please click here . During leaf season soft yard waste is only collected when the vacuum trucks are in your neighborhood. To ensure collection, put leaves out by the first day listed. The calendar may show two or three days in an area, but we only collect once per street per collection cycle. There are four collections cycles per season. Residents can find out when their neighborhood will be serviced by visiting our website for the most up-to-date calendar or look for signs posted in their neighborhood with the collection dates. Signs will be posted the week prior to collection. On or about Monday, November 5, NZI Construction Inc., working for the City, began replacing curbs and driveway aprons along Geronimo Street between Rhode Island Avenue and 51st Avenue. Following the completion of the concrete work the road will be milled and resurfaced. We expect the entire project will be completed by the end of December. Door hanger notifications were delivered to all affected properties on 10/30/18. America Recycles Day is November 15. Did you know, that the average American generates 4.4 pounds of trash and recyclables a day? Recycling in your home isn’t restricted to the kitchen! You can recycle common household items like shampoo bottles, tissue boxes, toilet paper rolls, just to name a few. Look around and see how you can reduce your quantity of trash by increasing your recycling. Bucket Truck Certification Training is scheduled for 11/9/18. Three staff members will get certified to operate an aerial lift truck for the City. The Department and ATT Mobility presented an external link that would allow the City residents to observe the truck movements for snow removal. Crews power washed the sidewalk that had a slippery area due to ground water at Route 1 and the City line at Riverdale Park. The Department continues to prepare for Snow Season by performing preventive maintenance and checks on all snow equipment. The Department had the EV station installed on the Fleet Building for the pilot Chevrolet Bolt electric car. Community shredding event on Saturday 11/10 at FedEx Field, Lot A 8am – 11am. A maximum of 4 boxes will be accepted per vehicle. 1600 FedEx Way Landover, MD 20785. Asplundh, PEPCO’s tree contractor, is continuing to perform tree pruning along a sub-transmission line that runs throughout the City. No City trees are planned for removal. Mowatt Lane from substation to Guilford Dr.
Requests for replacement street trees in right-of-ways, call 240-487-3590 or email Brenda Alexander at balexander@collegeparkmd.gov. The City has a program to reimburse the cost (up to $150.00) of approved trees on private property, it’s called the Tree Canopy Enhancement Program (TCEP). Click here for more information and application. Backyard Composting Bins for $20 (city residents) and $40(non-residents). Click here for more information. SMARTLEAF® compost ($28 cubic yard) and wood mulch ($12 cubic yard) are available for pick up. Click here for more information. Deliveries have ended for the season. 10/29 Contract officer attempted to stop a vehicle travelling at a high rate of speed on Baltimore Avenue in the Downtown community. The vehicle fled into the Old Town neighborhood where the officer lost sight of him (no pursuit). A second Contract Officer observed 2 males running on foot at Rhode Island Avenue near the crosswalk of Campus Drive. The suspects were stopped on the bike trail near Lakeland Road. Near the location of the stopped officers located pieces of jewelry. A further search located the vehicle (running) in the 7500 block of Dartmouth Road. One suspect was wanted on an outstanding warrant and the second was on probation. Both suspects had priors for burglary. The suspects are believed to be responsible for 10 burglaries between Riverdale and Bladensburg as investigators are still actively working the case. Great police work by all! 10/30 Contract officer responded to a hold up alarm at the Seven Eleven located at 4921 Edgewood Road. Contract officer was the first unit on the scene as the alarm was not verified. 11/1 Contract officer was on routine patrol and was approached by the victim regarding a burglary in the 4600 block of College Avenue. The suspect entered the house through an open window as the victim was awakened by the suspect. The suspect fled. As the officer was leaving the suspect returned and the victim asked them to leave. The suspect punched the victim as other residents wrestled him to the ground. The suspect was charged with Burglary and 2nd degree assault. A student referral was submitted. 11/1 Contract officer on routine patrol observed a male with an open beer at Dickinson Avenue and Knox Road. A student referral was issued for open alcoholic beverage in public. 11/1 Contract officer on routine patrol observed a male with an open beer at Norwich Road and Rhode Island Avenue. A student referral was issued for open alcoholic beverage in public. The 2018 event will take place from November 5 through December 3, 2018! 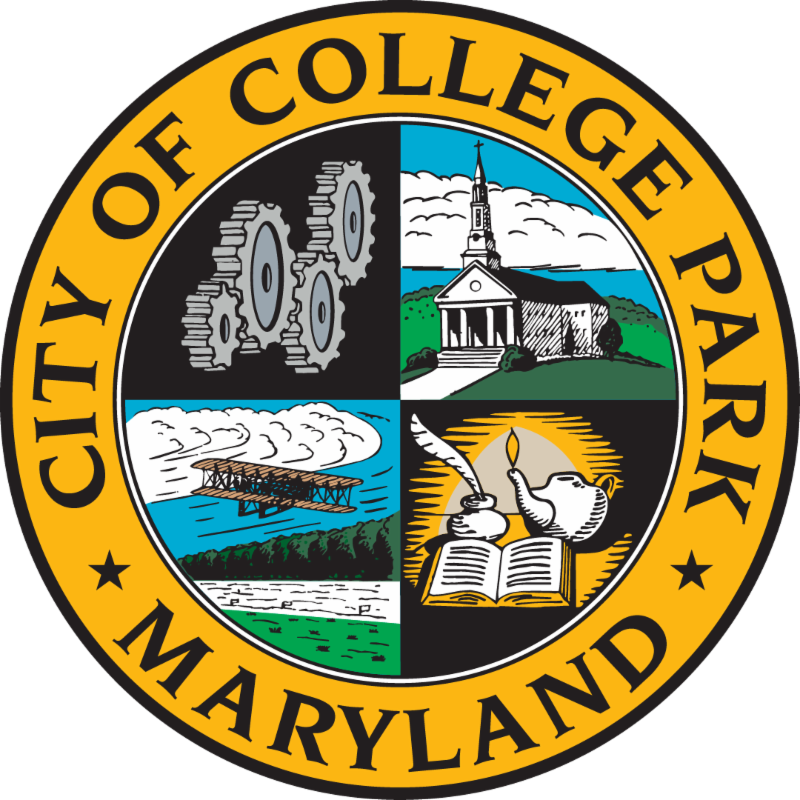 The City of College Park, with One Warm Coat, a national non-profit organization, has begun our annual One Warm Coat Drive. Help fellow College Park residents in need by donating your clean, gently-used coats, hats and gloves during the City's annual warm coat drive. All donated coats will be distributed by the Department of Youth, Family and Senior Services throughout the College Park area to local children and adults in need. Last year we collected over 200 coats and cold weather items and are hoping to beat that number this year! Monday through Friday, 10:00 a.m. to 5:00 p.m. 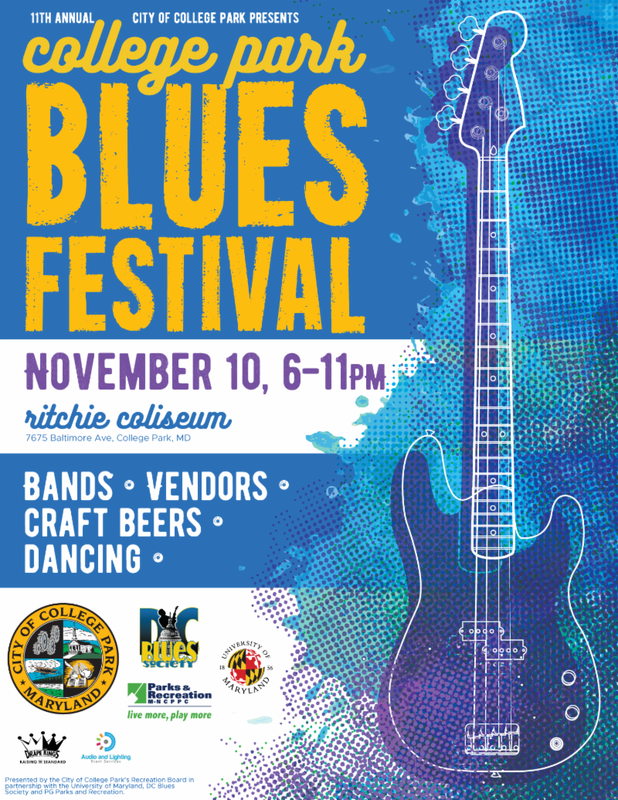 The City of College Park with the University of Maryland, PG Parks and Recreation and The DC Blues Society present the 11th annual College Park Blues Festival on Saturday, November 10! This annual FREE event features live bands, dancing (of course! ), vendors, craft beers and more! 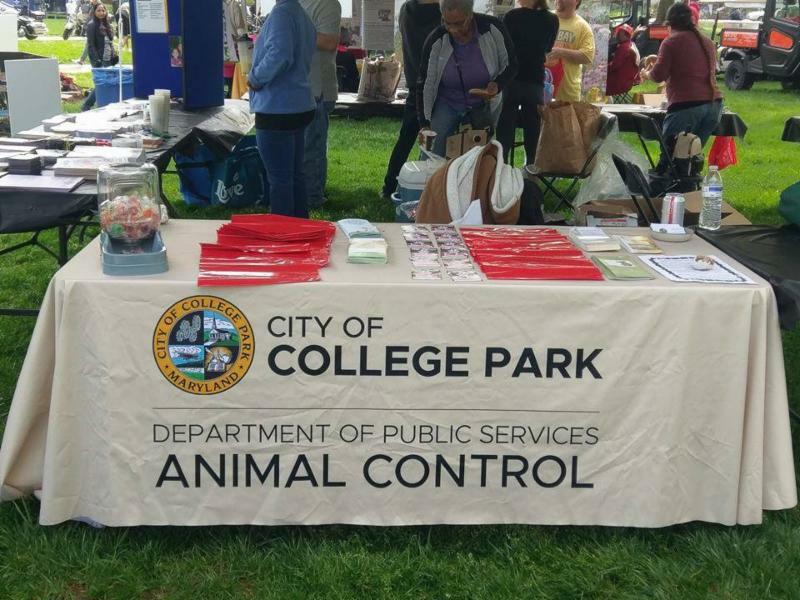 The City Sponsored FREE Rabies clinic will be held on Sunday November, 11 2018 during the Downtown Farmers Market in the lower level of City Hall. Only Rabies vaccinations and microchipping will be offered. For 3-year Rabies vaccines, the pet owner must have a current signed rabies certificate (1- or 3-year), and vaccines will be given at the discretion of the veterinarian. City residents must be able to provide proof of residence in order to obtain free services. Tuesday, November 13, 2018 - 7:30 p.m.
Tuesday, November 20, 2018 - 7:30 p.m.